Kobe Bryant is retiring today – finally. That’s great news for basketball fans, considering that he’s already had 643 retirement ceremonies this year and hasn’t been a competitive basketball player since 2013. His retirement – from that poem, to the travelling circus, to the Lakers’ locker room drama – is perfect, though, in its imperfections. It’s just so Kobe, trying desperately to be unforgettable. On the other side of things, there’s Tim Duncan, who seems like he’s trying to do just the opposite. This is likely his last year too, and it’s only fitting that the two would go out together. In the NBA, players are always linked together as tent poles of their era: Wilt and Russell, Magic and Larry, Kobe and Duncan. They couldn’t be more different, both on the court and off, but that’s been written about time and time again. Once Kobe stops releasing a new shoe every year and Duncan is through dispatching the Warriors in the Western Conference Championship later this season, who’s going to have the upper hand in office debates? Why wait to find out? Let’s break this baby down! Duncan is a marathoner; Kobe is a sprinter. Kobe had quarters and highlights, but he didn’t do it as often and as sustained as you might think. You might forget this now, with all the “We’re losing the best player of our generation” sound bites, but Kobe only won one MVP award (and only two scoring titles). Even during his 81-point game, 55 of those came in the second half. But when he does turn it on, he’s deadly. He has the third most 40 and 50-point games in NBA history (both behind Wilt and Michael). In 2006, he dragged Smush Parker and Kwame Brown to the playoffs, averaging 35.4 points per game. We get those sound bites because people remember those moments when he was lights out, when he really was one of the all-timers. As you’ve been reading and watching and listening to all the different Kobe tributes, one number always comes up when talking about his legacy: 81. It’s really perfect that his 2006 81-point game against the Raptors is his most memorable moment; he was on a bad team, got angry, and lost his mind on the basketball court. But like Kobe, however messy it was to get there, you can’t help but clap it up for the guy. I mean, 81 points! Sure, it might have been a meaningless game, but there’s no arguing with that number. For Duncan, his low came with 45-seconds left in Miami, Game Six of the 2013 NBA Finals with a chance to clinch the title. Down 88-90, Tony Parker fed Duncan in the paint. Duncan dribbled and turned, launching a signature skyhook over Shane Battier…but it missed. I still don’t understand how it didn’t fall; Tim Duncan missing an easy shot in the post challenges everything I know to be true. In the end, Ray Allen ended up making the best shot in the history of basketball, and the Heat won in OT and again in Game 7, sending Duncan home seething. You: Hey man, mind if I sit here? Kobe: How bout you learn to pass the ball to me? You: [sitting down] I did. Every time. Here’s a secret about Tim Duncan: he’s never had great players around him. Ginoboli and Parker are the most tenured, and neither of them was ever in the conversation of being even the 15th best player in the league. Ginoboli is a decorated sixth man; Parker is a really solid point guard. Neither command radical attention away from Duncan, so he always has to be the best player on the court. The best teammate Duncan ever had was David Robinson, who was 32 and injured (but still very dominant) during Duncan’s rookie year. The Admiral’s stats slipped further and further every year until his 2002 retirement. And while Kawhi Leonard is poised to take over the Spurs machine next year, it was only last year that Leonard truly emerged as an all-NBA force. So, if you add the two years of Robinson when Duncan was a rookie and two of Leonard when Duncan was fading, that’s only four years where he had someone to share the load. We all know about Kobe off the court. There was Colorado, which was certainly messy, and there’s the fact that he’s like that “friend” of yours that you put up with just so he eventually gives you a reason to punch him in the face. Nobody likes the guy. He couldn’t put aside whatever ego/delusion he had to keep Shaq in LA, and for whatever reason, he even drove sweet Pau Gasol out of Los Angeles. I could count Dwight Howard as another of Kobe’s victims, but I think Dwight might be the only guy in basketball crazier than Kobe, so we’ll leave him out of this. Duncan, on the other hand, has never been involved in an off-the-court incident. All of his coaches and teammates love him. The only thing we’ve ever really heard about him is that he hazes the rookies. Other than that, he’s a mystery. We don’t know where he goes in the offseason, who he’s friends with, what his politics are. Nothing. He might be a robot, or he might even be an undercover spy. If you went on the street and asked people to describe Kobe in one word, “clutch” would get thrown around early and often. He’s hit so many buzzer beaters that the fadeaway at the buzzer is his signature move. Never was this clearer than in the Gold Medal game in Beijing after Spain had cut the American lead to only two late in the fourth. The entire American team of all-stars and alpha dogs turned the keys over to Kobe to take them home. And wouldn’t you know it, but he came through. But, as has been well publicized, Kobe’s perceived ‘clutchness’ might just be because he takes the last shot so often. He’s shot the ball 28 times in the last 24 seconds in a playoff game to either tie or take the lead. He’s only made seven of those (LeBron, for comparison has sunk those at a clip of 41.1%). Expand that to the last two minutes of playoff games, and the rate only goes up to 34% (Lebron: 48.8%). And in 2010 and 2011, he missed all eight shots he took within the last two minutes of playoff games. You have the first pick. Who do you go with? Kobe gives you the clear path to victory: he’ll drain jumpers, get to the hoop, and just put on a scoring show. But the rest of your team might never see the ball, your pickup game won’t be any fun, and you’ll quickly find yourself in a corner with your hand raised screaming “I’M OPEN! HERE! RIGHT HERE!” Good luck rallying the rest of the team to hustle on defense – which makes Duncan the easy choice. When it comes down to it, that’s exactly what this debate boils down to. Kobe’s a transcendent talent and one of the best scorers the game’s ever seen. He’s also a maniac. His delusional chasing of perfection is what made him great, but it handicapped him even more than his actual Achilles heal. He was a joy to watch and a pest to play with. Duncan gave up the shoe deal and the retirement tour in the name of the team. He adapted, he dominated, and he led. DAMN RIGHT I’M CALLING IT!!! Well, since 2003, which predates my SNL life, at least. That actually is my entire life! Even more perfect about this game? 81 points and…2 assists!! Meaning his Lowest Moment wasn’t quite as bad. This was the earliest basketball team I can remember, and I loved them. Once Kobe pushed Shaq out, I turned in all my Lakers gold and have been an NBA free agent ever since. Had Shaq stayed, not only would I be a Lakers fan, but they would have won the next five championships in a row. I’m sure of it. I’m 95% sure that KTLA will do this for the 5:00 news tonight. 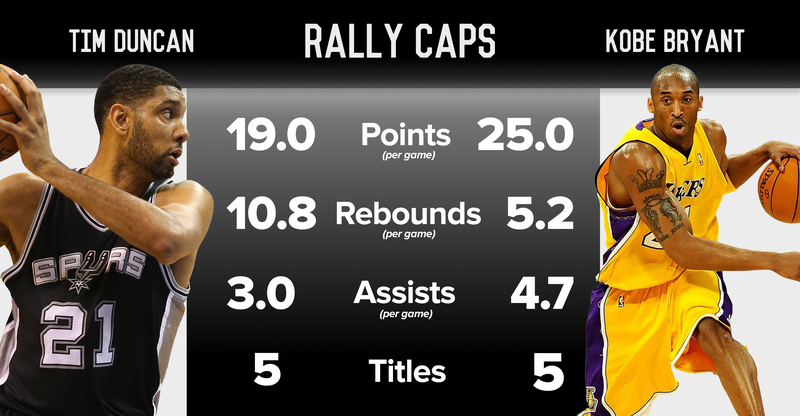 Mr. Rally Caps, what odds are you giving that Kobe pulls a Jordan or Favre and makes 18 comebacks. These guys don’t know how to let it go — or that it tarnishes their legacy. Before tonight, 24-1. After the 60 pts, Vegas shifted the line to 8-1. The Spurs are my all time favorite team and I respect Tim Duncan as much and sometimes above some of the other greats. But it was sure fun to watch Kobe last night!